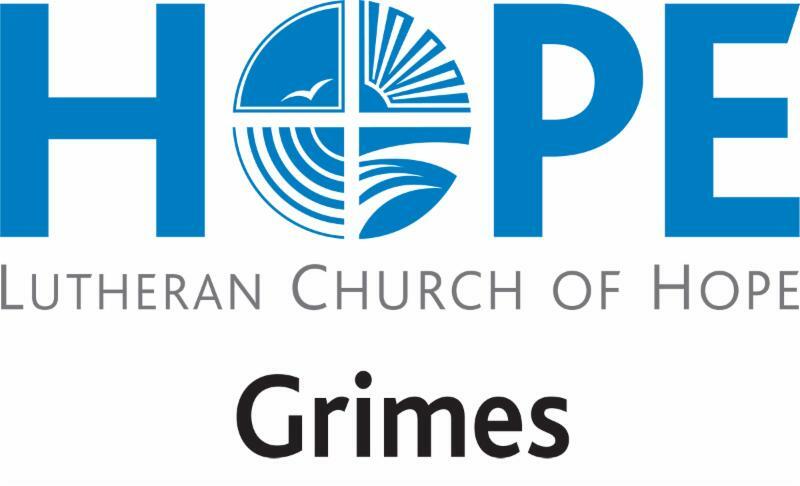 Here's What's Happening at Hope Grimes! 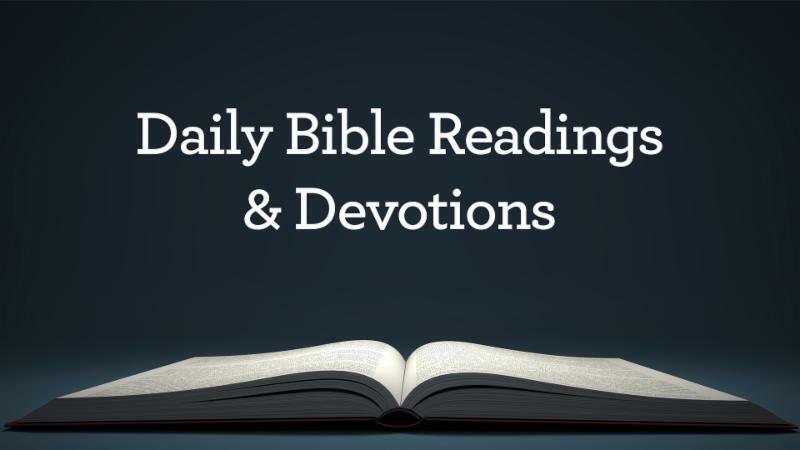 Here's a letter from Pastor Eric, daily Bible reading & a devotion too! This week I want to share a Top 10 schedule to help you make plans for the spring worship season. Weekend worship: Please consider attending the 5:00 pm Saturday service for great parking and seating - added bonus - this makes room for new people on Sunday morning. Saturday, April 6: Spring Cleanup, 7:00 am - noon. Men of Hope will lead! Bring your gloves. Wednesday, April 10: 50+ Fellowship Ministry, 9:00-10:00 am - An FBI agent presents "Avoiding Scams." April 13/14: Holy Week begins with Palm Sunday services at Saturday at 5:00 pm & Sunday at 9:15 & 11:00. Thursday, April 18: Maundy Thursday services at 5:00 & 7:00 pm - children who've taken the class will receive First Communion at these services. April 20/21 Easter celebration services - ***Saturday April 20 at 3:00 & 5:00 pm (Best parking and most available seating!) 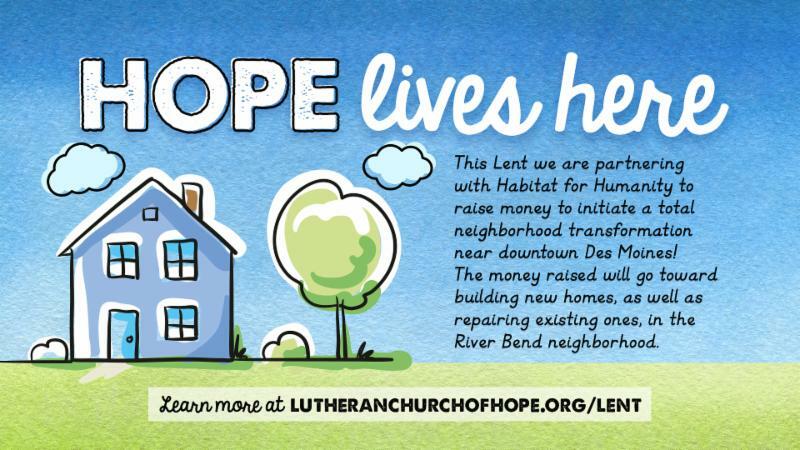 and Sunday, April 21 at 7:00, 9:00 & 11:00 am. Welcome Anita Hadley, Nursery Coordinator. Her love to lead and care for our youngest children is already making a heavenly impact. Tiffany Quaas’ role at our campus is expanding to Campus Director of Operations and Hospitality. She has done great work in Hospitality and now will be leading the day-to-day operations of our staff and building. This summer I will be taking a sabbatical for a time of rest, study, and vision planning. I will start sabbatical on June 15 and return Aug. 25. Please be praying that this will be time of great growth and rest for me. This weekend I am looking forward to preaching on Tears in Heaven (Clapton) as we kickoff a new teaching series, the Gospel of John #SingAlong . See you this weekend at worship! 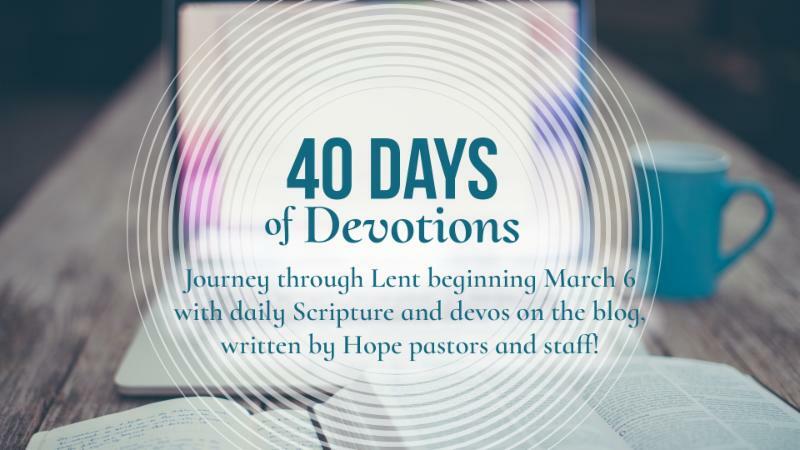 >> Follow along with our Daily Bible Readings every day of the week on Hope's blog or Facebook !